Just past the halfway mark of this year of 2017, it should be apparent to any attentive observer that, at best, this theatrical release year has been subpar, and at worst it appears to be the worst year for film (not to mention the United States) in living memory. Though I won’t come close to claiming that I’ve seen anywhere near every major release – I have not, for example, seen either Edgar Wright’s Baby Driver or Albert Serra’s The Death of Louis XIV, among other presumably worthy titles – there has been a shocking dearth of any wholly satisfying films. Whether it be the usual batch of disappointingly overrated superhero films (Logan, Wonder Woman), a number of fascinating if flawed works from noted auteurs (Personal Shopper, The Beguiled, Staying Vertical), or other sundry curios (Get Out, Your Name, By the Time It Gets Dark), it is somewhat dismaying that my favorite film from this year still remains the admittedly stellar Resident Evil: The Final Chapter. This isn’t to say that certain films haven’t been very good, and I do greatly enjoy a more than a few of the films I just named, but when David Lynch is showing up the entirety of the theatrical selections every week on Showtime with Twin Peaks: The Return, there is more than a little cause for alarm. In this attenuated climate, it is only natural that certain films would rise to the top merely by dint of their status, perceived or otherwise, as a sort of game-changer, regardless of quality. The two latest, and perhaps most mystifying, examples (immensely overpraised superhero movies aside) come in the form of two films that, at first glance, have little in common: The Big Sick, directed by Michael Showalter, and A Ghost Story, directed by David Lowery. Both films premiered at this year’s Sundance with considerable aplomb, and have since gone on to be declared among the best films of the year. My own opinion, that these films are both greatly overestimated and a little bit more interesting than the detractors (whom I would say I agree with more), is less engrossing than analyzing exactly what makes these films tick, for better but often for worse. 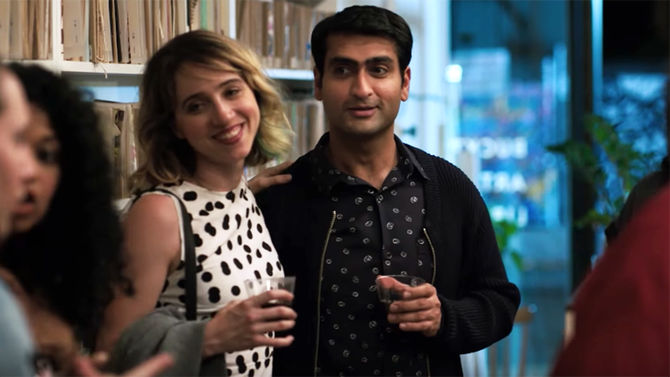 By several orders of magnitude, the more conventional of the two is The Big Sick, a romantic comedy strongly based on the real-life romance between co-writers and married couple Kumail Nanjiani (who also portrays himself) and Emily V. Gordon (played by Zoe Kazan). Largely touted as something of a revolutionary film, the film hews rather closely to a codified rom-com format for at least half the film. This hour-long stretch is admittedly rather trying, in no small part because of the bits of stand-up comedy on the part of Kumail dotted throughout. Though it never reaches the lows of, say, the self-flagellating grotesquerie that was Don’t Think Twice from last year, the painful awkwardness is on full display and extended to a stultifying degree. Perhaps inevitably, this extends to both the couple’s courtship – Kazan is particularly saddled with some difficult moments – and Kumail’s Pakistani family’s attempts to find a girlfriend for him, with both halves blissfully unaware of the other until a crucial juncture. Shortly after this, Emily falls into a coma, and the film comes to life with the presence of her parents (Ray Romano and Holly Hunter). They provide a liveliness and caring which The Big Sick had been missing up to this point, not in the least because their characters and performances seem so much more assured. If there is an argument for this film as one of the best of the year, it lies solely with them; however, the focus remains on Kumail – but, crucially, not Emily – and by comparison the film as a whole feels fairly rote and lacking. 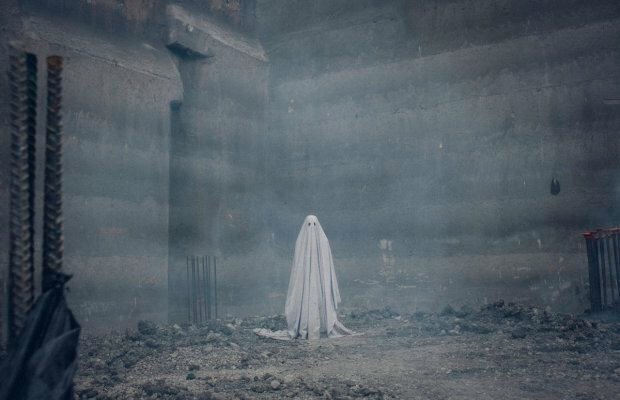 One film which cannot be accused of lacking in ambition, for better but largely for worse, is David Lowery’s A Ghost Story. Shot in secret last year with Casey Affleck and Rooney Mara as the central, unnamed couple, the film centers around the former after he dies in a car accident and returns as a ghost garbed in his hospital sheet, complete with two cut-out eyeholes. He observes as Mara’s character grieves and eventually moves away, while he stays behind, seemingly bound to the plot of land that contains his home, which itself is occupied by various owners, torn down, and built up into a skyscraper far into the future. With blatant gestures to Tsai Ming-liang and Apichatpong Weerasethakul among other giants of the slow cinema scene, Lowery seems less interested in exploring the deeply felt ideas of those films than co-opting the aesthetic for something paradoxically much more grand and much more facile. Even the romance, which is dropped for a good third of the film and returns at the very end, is sidelined in favor of more overt ruminations, including a long monologue at a party that seems to both argue for and against the eventual irrelevance of all art. Then again, Lowery’s film feels rather unduly opaque, prone to showing beautiful things in its neatly 4:3 frame, including the highly-vaunted single-take sequence where Mara eats half of a pie, rather than engage with them. This is not to say that either film is bad, necessarily; The Big Sick has its fair share of laughs, and A Ghost Story remains fairly engrossing throughout. But there is a curious remoteness to both of them, safely cocooned in various conventions, self-conscious or not. This even extends to their distribution: The Big Sick, for all of its hype as an indie title, is produced under the auspices of Judd Apatow, while A Ghost Story is currently being distributed by the empire known as A24. This, perhaps, is the crux of the issue: these movies are being praised for taking risks, but the films themselves are too enmeshed, too insulated in a pre-established template to truly provide something more.